I hope you’re ready to put the Bublé Christmas album on, wrap up in a comedy jumper and start sipping on some eggnog, because things are about to get a little festive around here. Although I’m a bit over traditional gift guides, this year there’s so much great stuff to share with you that we’re gonna have a lot of old fun in the run up to the Big Day – starting with our favourite bath bomb destination, Lush. 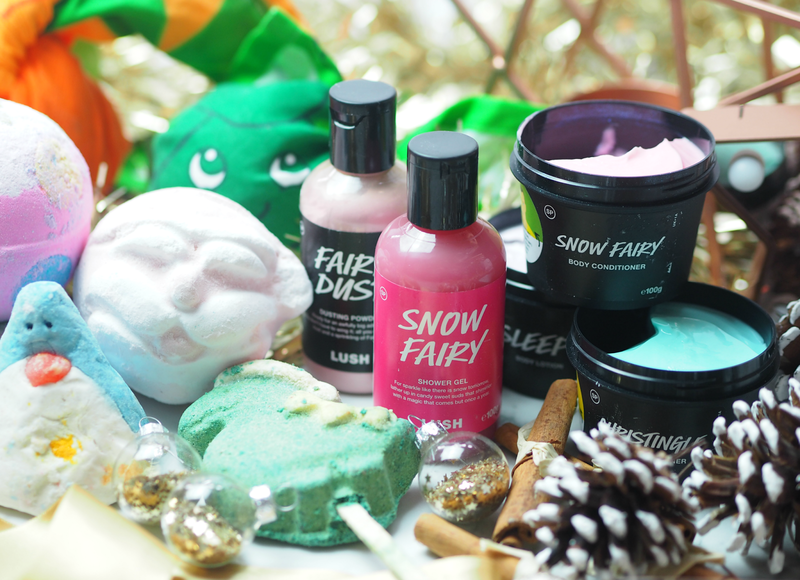 I would always be delighted to find a Lush box under the tree come December 25th, but way before the very first advent calendar door was opened I’d be down at my local store stocking up on bottles of Snow Fairy and Santa shaped bath treats. Those richly scented stores have become somewhat of a destination over the holiday period, thanks to the pure fun they inject while keeping it all affordable. Everyone can justify treating themselves to a bottle of festive shower gel, or stockpiling bubble bars as last minute stocking fillers; this year Lush have pulled out all the stops (or the crackers, sorry…) to create a collection of goodies you’re going to want to get your hands on one way or another. Although there are too many individual things to mention, I’ve pulled together an edit of my personal faves and things I know you’re wishing your Secret Santa discovers on a last minute dash down the high street. 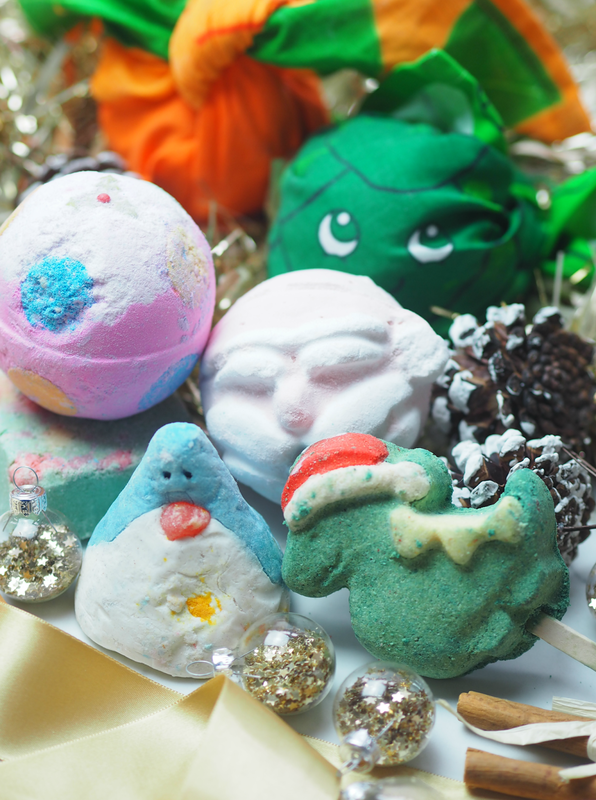 Christmas can get stressful, that’s for sure, so we all need a time out with a bath bomb or two. This year Lush are re-visiting some old favourites, while reinvigorating their offering with some brand new treats to enjoy. The ultimate bath bomb has to be the Father Christmas (£3.75) face that makes you smile just looking at it, while the Lush Pud (£4.25) is a modern and quirky take on a traditional Christmas pudding. Pop either into a steaming hot bath and breathe in the sweet scents of a season. If bubbles are more your thing, then running a bubble bar under the tap will create a tub full of pleasure and multiple uses too; I love the Santasauraus (£5.95) bubble bar which smells of sweet oranges, as well as the slightly sad looking Christmas Penguin (£3.95) which you can crumble into the water. And breathe. To keep the relaxing and invigorating sensation a little longer, there are a number of delicious body treats that will be sure to appeal to your inner sweet tooth… If you’ve never heard of Peppermint Bark, then it’s a brittle and sweet stateside treat that inspired the Salt & Peppermint Bark (£5.95) solid scrub. As the salt inside exfoliates skin, Fair Trade organic cocoa and cupuaçu butters leave your body feeling exquisitely soft, while the sweet minty scent leaves a cooling sensation behind. It’s a slightly different from what you may expect, but that doesn’t make the experience any less enjoyable! To continue the festive tradition, this year there’s a Snow Fairy body conditioner (from £7.95) that includes organic cocoa butter, mango and avocado to hydrate and soften the skin; it’s not as ‘in your face’ as the shower gel counterpart, but you wash it off with water in the same way. It’s like an intense in-shower moisturiser that saves you both time and effort. However, if you prefer your body products fresher and sickly sweet is not for you, then the Christingle body conditioner (from £9.95) offers up a combination of invigorating spearmint and grapefruit oils for a citrus and mint kick! 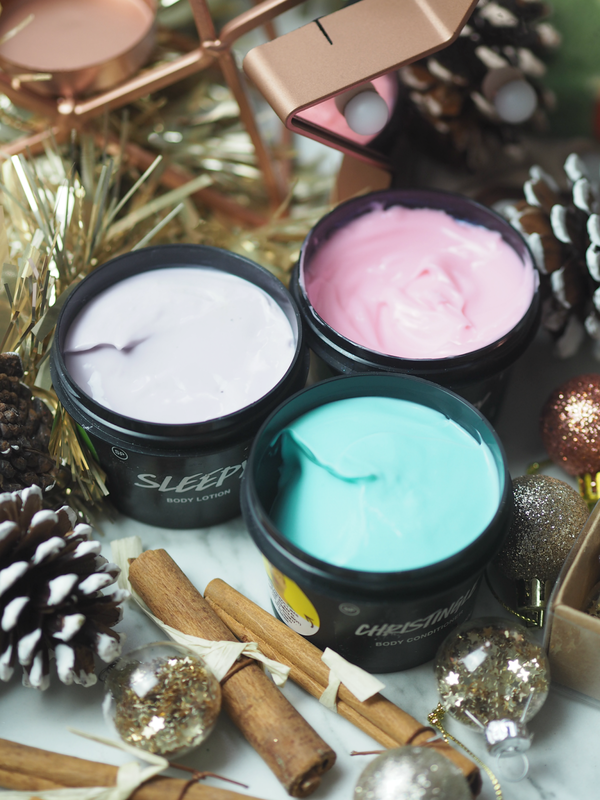 If you’re after a more traditional body moisturiser, then the Sleepy body lotion (£7.95) is made with a gentle oatmeal infusion, Fair Trade organic cocoa butter, calming lavender flower and comfortingly sweet tonka absolute – it’s beautiful to apply before bed, while the relaxing scent helps you drift off. There’s something about the Snow Fairy shower gel (from £3.95) that just makes my morning shower addictive; maybe it’s the bubblegum pink colour or the candyfloss scent, or perhaps it’s just the hint of shimmer it leaves on skin and the awakening sensation it gives me. Christmas really isn’t Christmas unless I’ve got a bottle of this cult classic in my bathroom – and New Year isn’t the New Year until I have to ration it to last as long as possible. If you want to ramp that sparkle up a notch, then this is the time of year to do it (and possibly the only time you can get away with it.) Lush’s Fairy Dust dusting powder (£7.50) leaves a delicate shimmer on skin while absorbing excess moisture, leaving a subtle sweet scent and a sprinkling of fairytales. 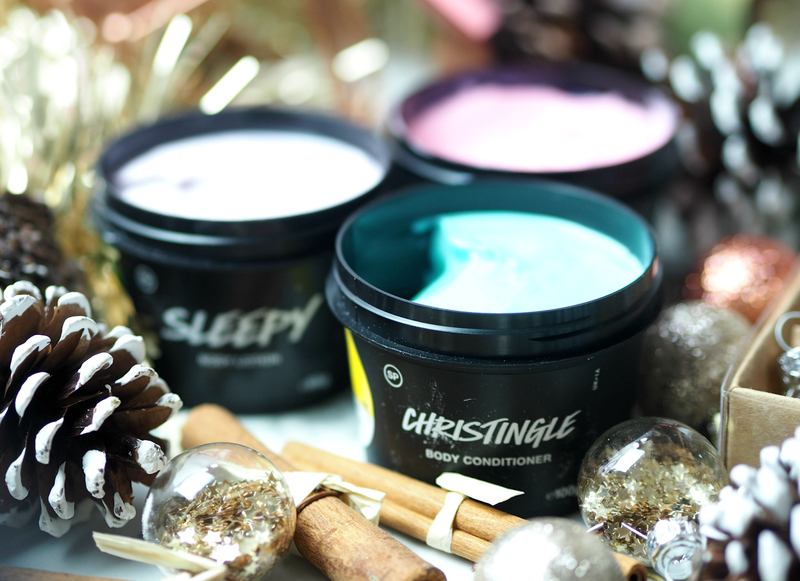 Together they’re the ultimate festive pairing that any Lush addict will surely have on their dressing table from 1st December and ongoing. Love them or hate them, you can’t deny that brussel sprouts play an important role during December’s festivities; I’ve been known to buy everything from sprout wrapping paper and tape, to chocolate sprouts and tree decorations, so much is my homage to the little green vegetable. 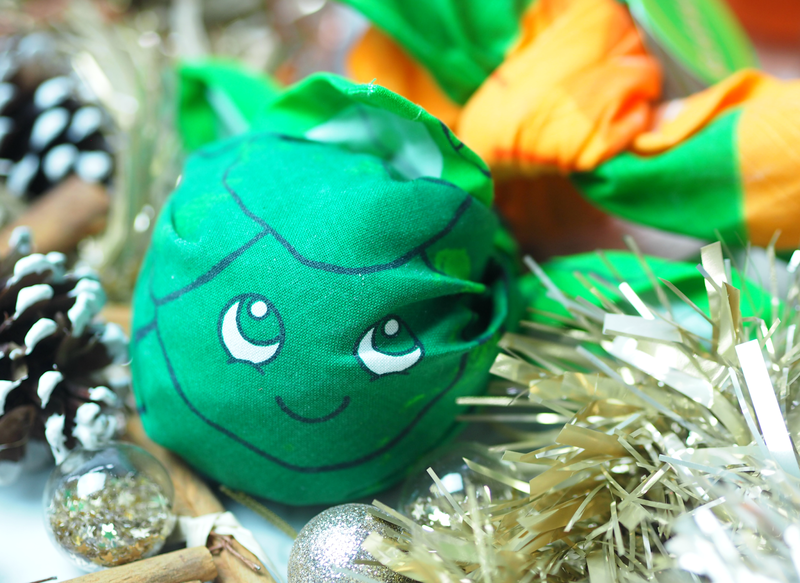 If you love sprouts, or know someone who does, then the Little Sprout (£7.95) will make a fab gift; inside is a bath bomb to offer a moment of relaxation after struggling to fit in another mouthful of stuffing, but most of the fun is in the decorative sprout re-useable wrapping. Use it as a dishcloth, hair band or decorative garland – the choice is yours. Loathe sprouts? Then try the Satsuma (£7.95) instead! Do you look forward to the Lush collection as much as me? Which of these is your fave? 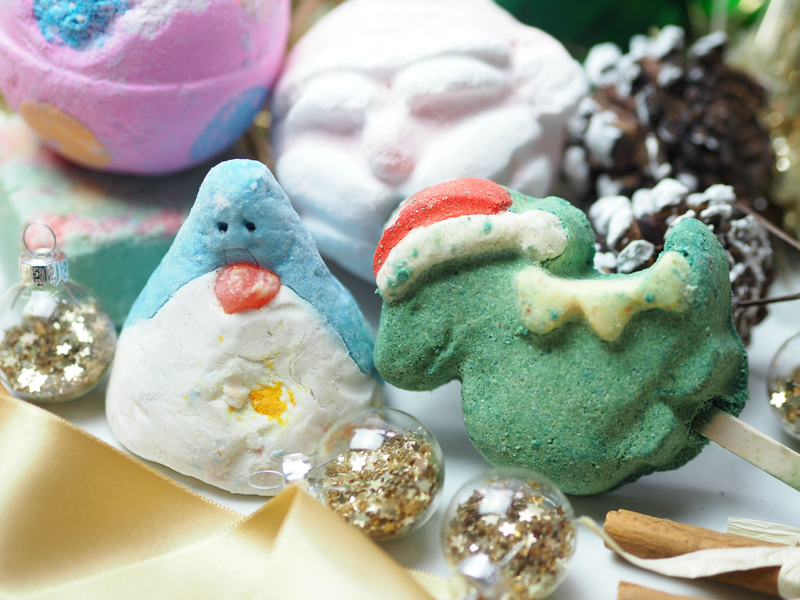 The Lush Christmas collection is in store now, priced from £3.95. It's got the most beautiful scent. It's so addictive you'll look forward to Christmas just so you can buy more. They do huge 1kg bottles now!